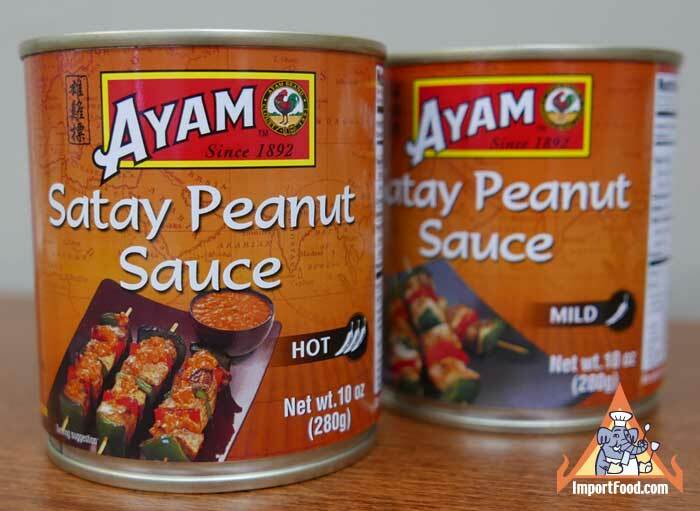 We enjoyed mild satay sauce from Ayam so much, now we have both mild and "Hot" flavor. Hot flavor has just the right amount of spice and heat, the way it should be. It's very simple to make, all natural, and rich in flavor. 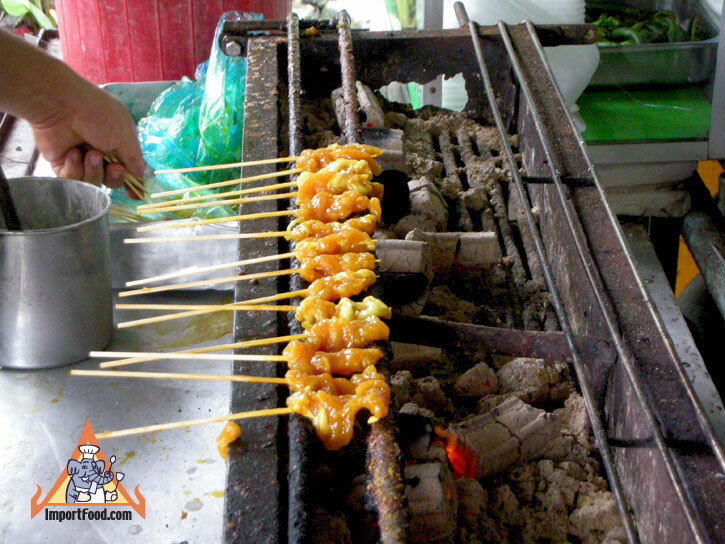 From Malaysia, where satay originated, Ayam Brand has been making this since 1892. Packaged in a modern can with pull top as shown. We followed the instructions on the can, with excellent results. Just weave chicken strips onto skewers. Add peppers and onions if you prefer. Brush chicken and vegetables with a combination of sesame oil, lime juice, and light soy sauce. Grill until done. Meanwhile, combine satay mix with 1 cup of coconut milk, and heat over medium heat until reduced and slightly thickened. Serve skewers on a bed of jasmine rice and spoon over sauce. Ingredients (Hot): water, peanuts, lemongrass, sugar, soybean oil, candlenuts, coconut cream powder, corriander powder, garlic, chilli powder, onion powder, ginger, salt, galangal, curry powder, tamarind puree. Ingredients (Mild): water, peanuts, lemongrass, sugar, palm oil, candlenuts, coconut cream powder, corriander powder, garlic, tamarind, onion powder, ginger, salt, galangal, chilli powder, curry powder.